"Test Anxiety: FasterEFT tapped out 25 years of failure!" "As I was preparing to take the Marriage and Family Therapist Standard Written Exam for the second time, I met with Mark to evaluate why I was experiencing what seemed to be an innate belief that I was destined for failure. Mark provided a safe environment to allow old, salient memories to surface that had been influencing and guiding the belief I had in myself–or the lack of belief in myself for over 25 years! After an almost 3 hour session, we were able to “tap out” the deepest-rooted belief that I was a failure based on an experience I had back in the 5th grade. He provided the space for me to shift my thinking by facilitating a corrective emotional experience through creating positive thoughts, associations and true acceptance. Throughout the session, I began to realize that the anxiety felt in the pit of my stomach was dissipating. The anger, resentment and pain was transformed into acceptance, growth and confidence. This new-found confidence flooded my spirit! No matter the outcome of whatever experience I was about to embark upon, I was not afraid to fail–failure would be information not a death sentence. I passed not only the Standard Written Exam, but I also passed the Clinical Written Exam on the first try! My confidence is refreshing! With Mark’s guidance and support, he helped me correct a poor childhood experience where anger, resentment and pain is now refreshingly gone." "I'd never heard of the tapping method before I met Mark. I was very intrigued to try it after Mark explained what it was all about. The idea is that if you are not accomplishing certain things that you want for your life (e.g., in the area of relationships, finances, career, etc. ), then this may be because you are blocking those things from happening through your own beliefs and mindset. Within days of working with Mark in a tapping session, I already saw one area we worked on completely shift for the positive. There was no doubt in my mind that these positive changes came as a result of the work I did with Mark. If there is something you want to change/improve about your life, I recommend working with Mark in a tapping session to break through those negative thoughts and beliefs that are holding you back!" "I worked with Mark when my business was at a low point and wanted to reinvigorate my own energy while driving my own business to success. Mark's approach was different and unique and he helped to talk me through my own thoughts and feelings and then taught me the tools to attract the right customers into my business. He helped me to re-energize my enthusiasm and my business has increased substantially since I began using his techniques. I highly recommend working with Mark!" "Mark Shihadeh can change my attitude in one conversation. He reminds me to focus on the positives in my life, (of wh﻿ich I have so many... why is that so hard to remember sometimes?) and if I can't think of any because I'm feeling so low, he has tricks for that too. He always puts the big picture of my life into perspective for me in a way that is very easy to do ﻿and repeat daily if needed. I am extremely grateful to have such a fantastic life coach in my corner." 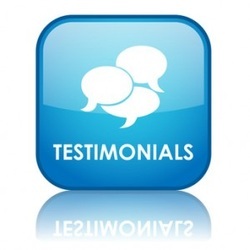 "What I like most about Mark Shihadeh is that I can count on him as someone to call on to consult with because of his very in-depth understanding of the FasterEFT method. Mark has become a sensitive, insightful and thoughtful certified coach and FasterEFT practitioner --- not a very easy combination to find and one that is extremely powerful to the client. As a coach doing the same work, I regularly call Mark to confidentially discuss cases and to plan new approaches. I know I can trust him and in his local area he is the first referral I provide. I have confidence in his abilities."